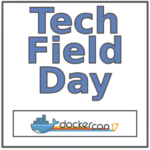 This Presentation date is April 17, 2017 at 16:30-17:30 local time. Goutham Rao, Co-Founder and CTO at Portworx, demonstrates their solution and how to get it installed and configured. He show the underlying architecture of their virtual volume solution, using MySQL. He also shows how Portworx is designed to be topology and application aware. 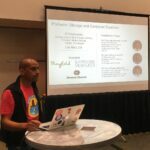 Goutham Rao, Co-Founder and CTO at Portworx, reviews the use cases and verticals where Portworx would be most applicable. These includes uses in Big Data, databases, and messaging applications. They cater to people building platform layers as a service, which can be used to serve application owners.